Katrij kami bebas dari unsur unsur penggunaan tulang haiwan. Kami hanya menggunakan tempurung kelapa sebagai bahan gantian tulang haiwan. Formula kandungan setiap katrij di dalam berbeza dan tiada syarikat lain yang boleh menciplak sukatan dan ukuran bahan tersebut dalam katrij. 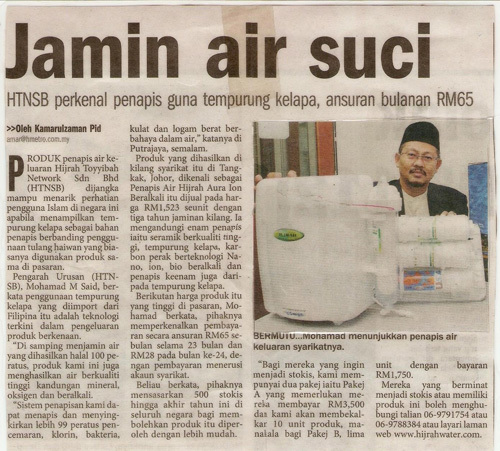 kajian hampir 7 tahun untuk menghasilkan penapis air hijrah yang berkualiti. Sesetengah penapis air di pasaran, tempoh hayat gantian katrij dalam 1 tahun mencapai sehingga RM300.00 hingga RM400.00 setahun dan melibatkan 2 atau 3 katrij dalam setahun, sedangkan syarikat kami hanya memerlukan belanja RM98.00 untuk tempoh 1 tahun pertama. Harga katrij setiap satu murah dan mampu milik. Pihak syarikat akan memaklumkan kepada pelanggan 30 hari sebelum tempoh hayat katrij tamat. Pihak stokis yang berhampiran akan datang membuat pertukaran. Kegagalan bayaran balik pelanggan tidak melibatkan tindakan undang-undang, faedah atau riba atau menarik balik barangan. Kami yakin pengguna islam faham hukum islam. Harga yang rendah dan mampu milik melalui skim bayaran tanpa faedah ke akaun stokis. Setengah syarikat harga hutang dengan harga tunai 1 kali ganda lebih. 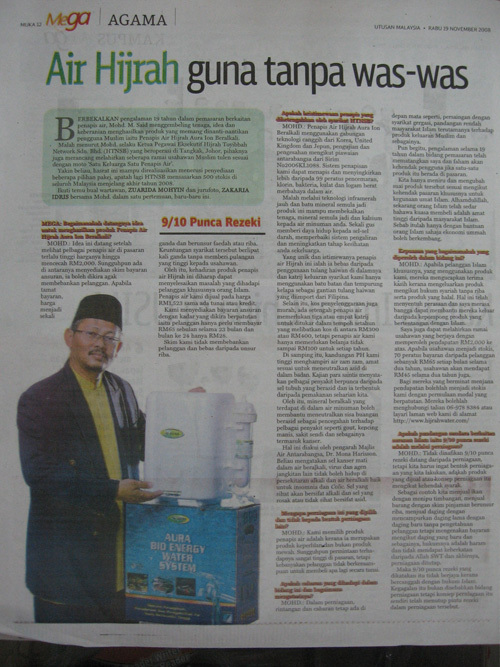 PH air yang hampir menyamai air Zam Zam. Boleh membantu menyelesaikan pelbagai penyakit seperti sakit-sakit sendi, sel kanser, darah tinggi, kencing manis, batu karang, gout, membantu meneutralkan asid dalam badan dan sebagainya. Penyelenggaraan yang mudah dan murah kerana tidak menggunakan elektrik. Penapis HIJRAH telah melalui ujian makmal Sirim. 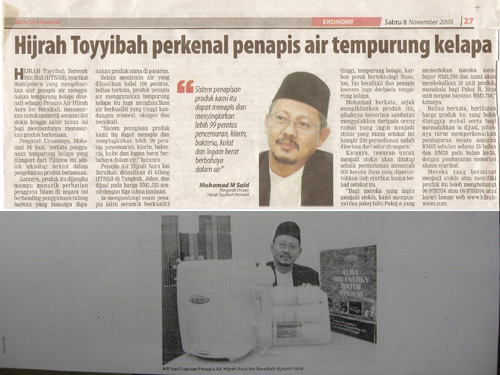 Air Hijrah boleh diminum tanpa was-was dan boleh digunakan sebagai air penawar untuk tujuan perubatan. Kajian para saintis menyatakan pelbagai penyakit berpunca dari sel tubuh yang berasid dan ia terbentuk dari pemakanan seharian kita. 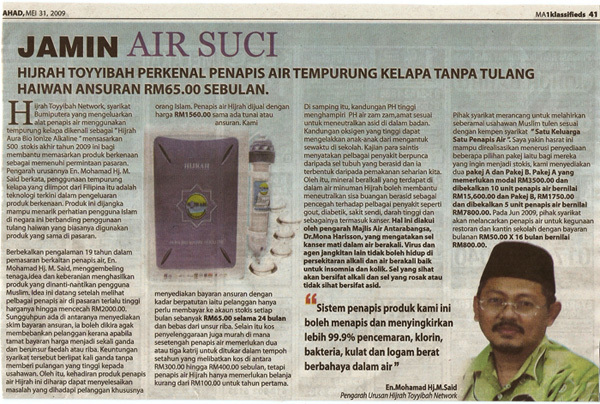 Mineral berakali yang terdapat didalam air minuman boleh membantu meneutralkan sisa buangan berasid sebagai pencegahan terhadap pelbagai penyakit seperti gout, kencing manis, sakit sendi dan sebagainya termasuk kanser. Ini diakui oleh seorang doktor bernama Dr.Mona Harrison MD pengarah Majlis Air Antarabangsa mengatakan sel kanser mati dalam air beralkali, virus dan agen jangkitan lain tidak boleh hidup di persekitaran alkali dan air beralkali baik untuk insomnia dan Colic. Sel yang sihat akan bersifat alkali dan sel yang rosak atau tidak sihat bersifat asid. 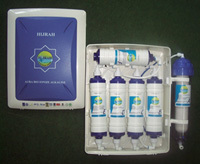 Sedutan dari http://www.h2olifesource.com & http://www.kemptrading.com menunjukkan kelebihan dan manafaat Air Beralkali (Alkaline Water) serta testimoni. Why Alkaline Water is The Best Water for Our Health? The Japanese have long been known as the healthiest nation on earth and alkaline ionized water has been widely used in their households since the Pharmaceutical Affairs Law first approved it in 1965. In the wake of increasing public interest in drinking water and health in recent years, tremendous amount of research efforts have proven the validity of this health water – the Alkaline Ionized Water. You may wish to browse our web resources that link to these research and clinical studies. Most of us tend to be over acidic in our body. The food that we eat burns with oxygen in our cells to produce energy (metabolism). After burning, the food becomes acid wastes and the cells dump them into the bloodstream. Our body tries its best to get rid of these wastes through urination, respiration and perspiration. Unfortunately, most of our bodies cannot get rid of all the wastes as quickly as we wish. The major hindrances include our lifestyle (lack of rest and exercise), our diet (too much meats, processed foods, carbonated drinks and alcohol), and our polluted environment (with huge amounts of free radicals in the air and water) that destroys much of our healthy cells daily. If these wastes are not flushed out, they are stored somewhere in our body. In order to stay alive, our blood and cells must always remain slightly alkaline. What happens when we have too much acid wastes? Well, the body does two things to stay alive. First, it can draw on the alkaline reserves stored in our body and the easiest would be to “steal” the calcium from our bones to neutralize the over-acid balance. Another way is for our internal buffering system to convert these acid wastes into solid wastes. You see, when these acid wastes are solidified, they can be parked away easily without affecting the pH of the rest of the body. These acid wastes can be stored in many places, including body fats. Increased fats production can be a result of increased acid waste demands for storage. So less acid wastes less fats needed! You are about to find out that it’s not fats that make you fat, it’s the acid! Drinking alkaline ionized water is the fastest and most efficient way to alkalize our body. We are meant to be alkaline on the inside of our bodies and that is the reason why our nutritionists and dietitians are nagging us to have “vegetables and fruits daily!” These are the alkaline foods that promote alkalinity in our bodies. As explained earlier, when our body becomes over-acidic, fats become a friend not a foe! Acid waste travels throughout the body in the blood and due to the high amount of acidic food and drinks we consume daily, the acid waste is being parked in fatty deposits instead of being eliminated via the kidney and liver as it should be. These fatty deposits are stored as far away from our vital organs as possible; hence the weight gain that typically occurs on the chest, buttocks, thighs and belly. To look at it one way: this fat is saving our lives by protecting our body’s vital organs from damaging acid waste. The more acid waste we have the more parking spaces (fats) we need to store them away in order for our blood to remain slightly alkaline. So in essence, it is acid that make us fat not fats! How then can we rid these acid wastes from our body? The nature of alkaline ionized water with much smaller water cluster size penetrates effectively and very quickly into these acid blocks (they can also become road blocks that clog our blood capillaries), disintegrating and flushing them out of our joints and muscles, our thighs and buttocks, and even out of our head (migraines or headaches are symptoms of over-acidity in our body!). Alkaline water helps to flush out these acid blocks allowing fat cells to be eliminated quickly and effectively from our body. Weight loss is almost inevitable if you’re eating a healthy diet and drinking alkaline ionized water. Research has also shown that overweight individuals have a lower percentage of total water content than individuals who maintain a healthy weight. So make sure you drink to hydrate your body and drinking alkaline water is the best choice for health and for beauty! I don’t have to spend much time talking about the damage that free radicals can do. Almost everyone is aware of the premature aging and destruction that these renegade molecules are doing in our body. They cause our body to oxidize or “rust” on the inside. You can see some of the damage in the form of excess wrinkles on the outside of our skin. What’s worse is that these renegades come to “steal, kill and destroy” our healthy cells, tissues and organs. How do we slow down or stop this damage? Antioxidants are the answer. Every supplement company markets them. Alkaline Ionized water made with electrolysis functions as an antioxidant. The water is loaded with additional negative electrons that can be used by your body to neutralize these free radicals in our body. 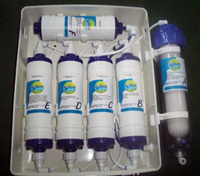 Alkaline ionized water made using electrolysis produces much smaller cluster of water molecules. Quoting Dr. Robert Young “Instead of a big water ball trying to penetrate into our cells, we now have a much smaller water ball entering our cells” to irrigate our entire cells network better and more effectively. It penetrates faster, bringing along the nutrients and oxygen needed by the cells and more importantly, because of its permeability into our cells, it also helps to bring out the toxins and the wastes out of our cells with greater effectiveness. It is this unique property of the alkaline ionized water that enhances the operation of our immune system. The immune system refers to our body’s ability to fight disease and resist infection. Normally, when a virus enters the body, it creates toxins and wastes that travel in our blood. If these viruses are not combated quickly, we become ill. Drinking alkaline water helps send the antibodies created by our immune system quickly and effectively into our cells, combating these viruses and flushing them out just as quickly for removal and discharge out of our body system. So imagine how quickly we can recover from that cold virus when we drink alkaline water to boost our immunity! As our body works to keep us alive, it’s processes within produces waste that can cause severe acidification of our tissues and organs if not eliminated. With enhanced negative ions produced by ionization through electrolysis, coupled with the property of smaller water cluster for penetration, we have found that the alkaline water has the high energy capacity and the ability to easily dissolve and get rid of harmful acidic waste that accumulates in tissues and organs. So let’s flush out the toxins! Studies have shown that within a short ninety days, various patients experience better digestion. Colonoscopies also yield images that show a drastic before and after, where the cleansing is apparent. The “before” picture illustrates an intestinal wall that is caked with accumulated waste, while the “after” picture shows a colon that is healthy and free of acidic waste. Our digestive tract is an extremely important to our body, and by cleansing our colons by consuming alkaline ionized water, we are helping to improve the general functionality of our bodies. Less wrinkles, no more scaling and a much younger you! Most of us are dehydrated and we don’t even know it! When our wrinkles show or when we see scaling on our arms or legs, we immediately think of applying moisturizer on our skin. But the root of the problem is under the skin. You should read “Your Body’s Many Cries For Water” by F. Batmanghelidj, M.D., his book will help you understand the vital importance of water for health and for beauty. Not all water helps to hydrate our body efficiently. Take distilled water for example. This water is dead and devoid of all minerals. It is very acidic and will tend to dehydrate you. You see, alkaline water, made using electrolysis, has smaller water cluster size that penetrates into our cells much faster, hydrating us faster from within. In addition, it carries the nutrients and oxygen to our cells more efficiently and removes acidic cellular waste with greater effectiveness. We have received several testimonies of ladies who suffer from dry skin and even scaling on their legs. But after consuming alkaline water for a month, they experience the difference of a younger looking skin without having to pay for the expensive moisturizer. Alkaline water is rich in ions and has a much higher content of oxygen and alkaline minerals due to the ionization process. When we take a walk in the park, we feel refreshed and energized because of the abundance of ions produced by the green around us. When ionized water is consumed, the cellular water environment improves within the human body in the same way. This leads to better health and overall well-being. Drinking alkaline water rejuvenates us daily. It is logical that you should attempt to repair your body before disease strikes. It only makes sense that we give as much effort towards disease prevention as possible. Some studies show that in the healthcare system, only 1/16th of all health expenditures are attributed to disease prevention. The rest is put towards disease treatment. Doesn’t it make sense to focus on prevention rather than treatment? Also, if and when disease does strike, it’s important that our immune system and other vital systems are able to react swiftly and efficiently. Consuming ionized water helps to maintain good health and keep our organs in great shape! The human body tends to maintain body fluid at pH 7.35 according to the homeostasis function. It tries to maintain the balance of each organ with alkaline bodt fluid of pH 8.8 from the pancreas as the peak. However, a consistent acidic condition will result in lowering one’s immune system. Alkaline ionized water with pH 8.5-11 helps to counter the harmful effects of acidic wastes build-up. Imagine having the ability to convert normal rap or filtered water into anatioxidant water with a negative oxidation reduction potential (-ORP) that retards the ageing process. A high or rising positive ORP (+ORP) causes oxidation that in turn causes ageing. The –ORP from an ionizer is effective in counteracting this process. Alkaline ionized water renews our bodies at the cellular level. This is as close as it gets to reach the Fountain of Youth! The other antioxidant property of Jupiter is the high quantity of dissolved oxygen in the form of hydroxyl ions (OH-). These oxygen atoms with an extra electron attached to them is similar to antioxidants such as vitamin A, C and E. It combats free radicals that are unstable oxygen molecules which cause damage to the body cells and helps to boost metabolism and immunity. Alkaline ionized water gives you minerals in ionized form that are easily assimilated into the body. These ionized minerals are not only good for building strong bones and teeth, but they are also vital in dissolving acidic deposits at joints that cause various problems such as Arthritis, Gout and Rheumatism. Alkaline ionized water molecule clusters are smaller than other types of water. It is this smaller size that helps to hydrate cells more efficiently. It is also a great transport in excreting waste matter from the body rapidly. This helps the body to detoxify and provides for better hydration.